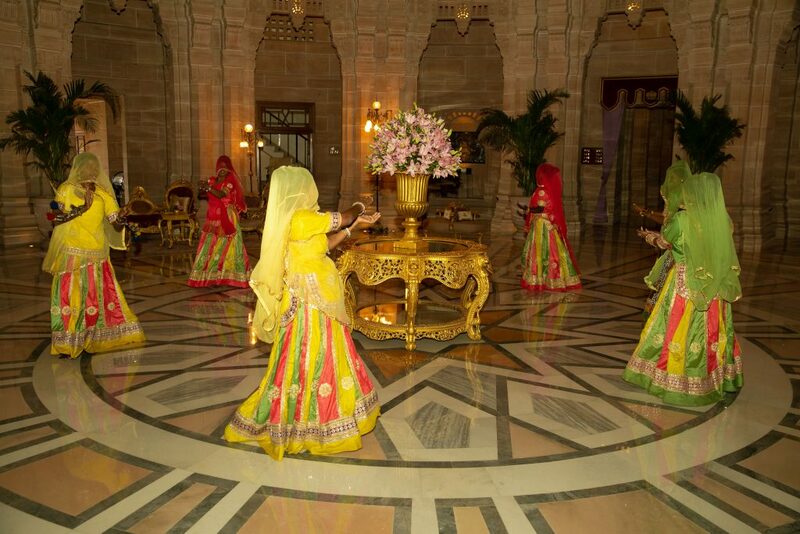 Home > Wedding Blog > Articles | Destination Weddings | Indian Weddings | Indian Weddings | Wedding Venues > A Royal Rendezvous at Umaid Bhawan Palace! 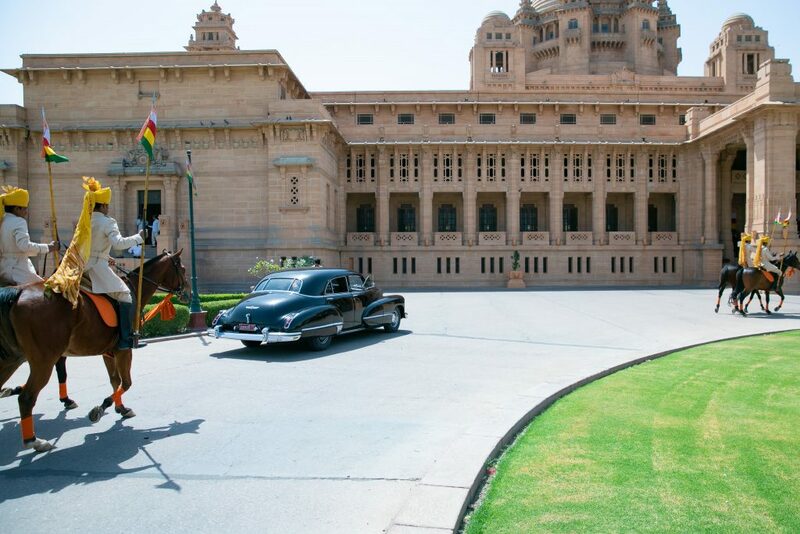 This month we experienced 3 days of complete luxury at the breathtaking Umaid Bhawan Palace, Jodhpur, which you may recognise as the stunning setting for the wedding of Priyanka Chopra and Nick Jonas last year. 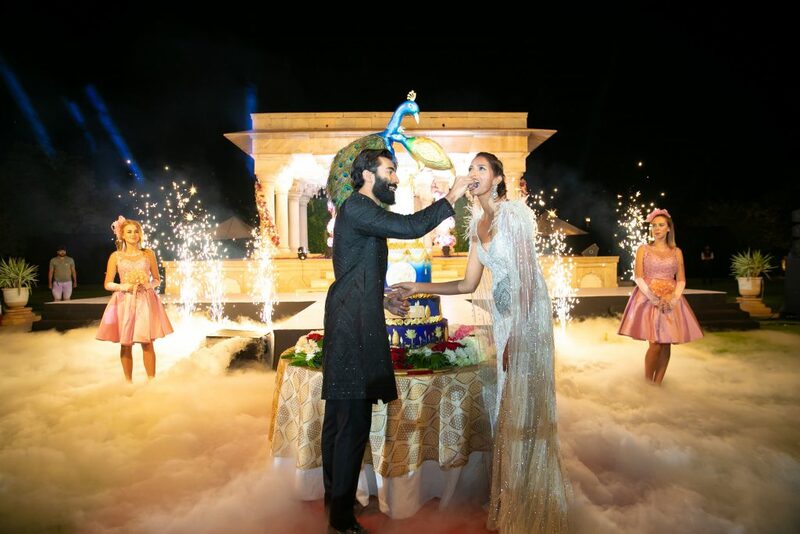 By special invitation from the Theme Weavers , destination wedding planners extraordinaire specialising in the Jodhpur, Jaipur, Udaipur and Jaisalmer areas, we were treated to glamorous receptions, breathtaking entertainment, sumptuous food and beautifully styled event set-ups. 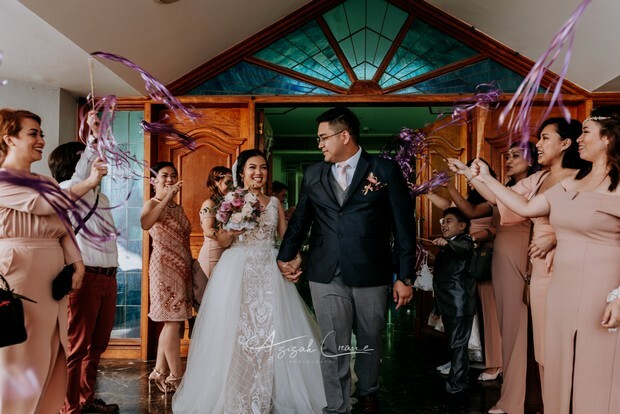 Every detail had been incredibly well thought out, offering a series of events that any bride and groom would be blown away by! Built between 1928 and 1943, Umaid Bhawan Palace is a magnificent piece of Rajasthan’s heritage and a symbol of new Jodhpur. From the moment we arrived it was clear that property is still the home of royalty, with a welcome reception fit for a queen! 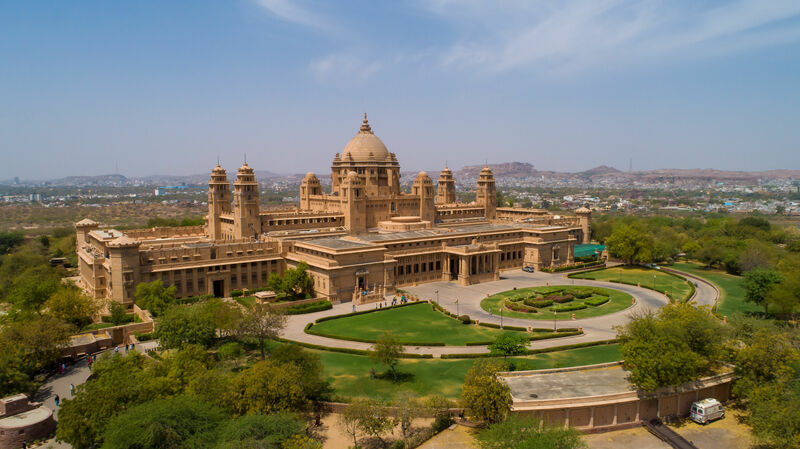 The palace is the world’s sixth-largest private residence, and perched on Chittar Hill, the highest point in Jodhpur, the Umaid Bhawan Palace inspires with exotic views of the historical Blue City, vast sand dunes, and intimidating Mehrangarh Fort. 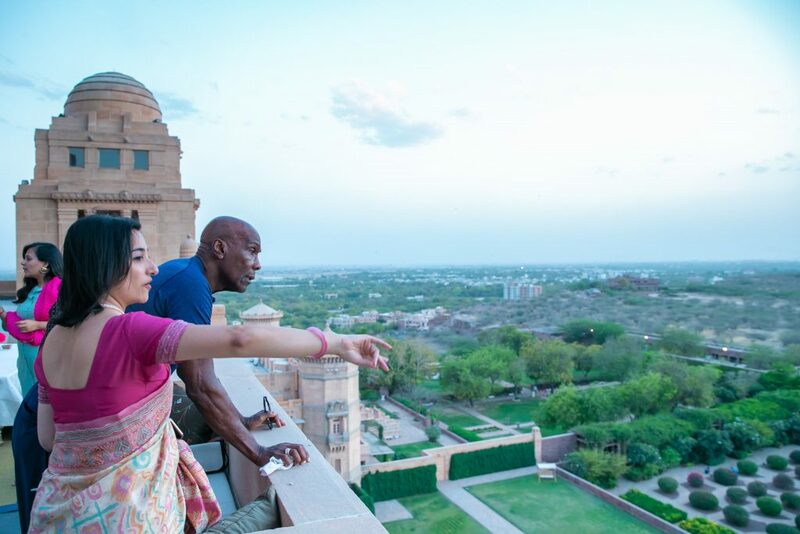 Set amidst 26 acres of lush gardens, with dancing peacocks and a subterranean Zodiac Pool, the luxury five-star Taj heritage hotel offers 70 utterly breathtaking Art Deco style rooms and suites, giving your wedding guests a luxury stay on another level. While the beautifully manicured lawns are the perfect setting for an elaborate and unique fairy tale wedding of a royal standard! 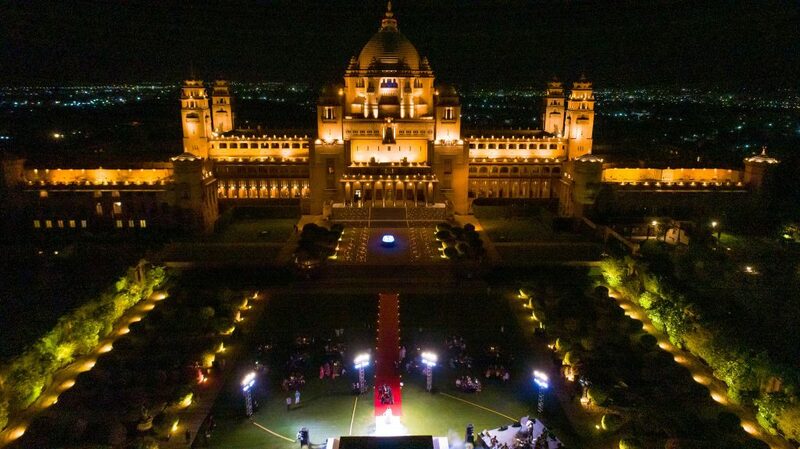 To find out more about the Umaid Bhawan Palace’s wedding packages, or to see if they have availability for your wedding, call +91 291-2510101 or email umaidbhawan.jodhpur@tajhotels.com now, and get ready to experience luxury like the royals did! 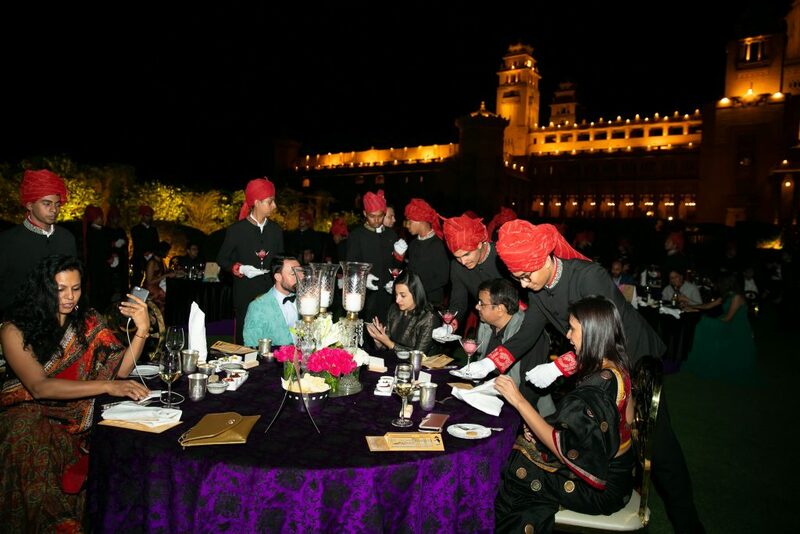 Visit Theme Weavers Designs to see how they can theme, weave and design your dream destination wedding in India.